European 110mH Champion Andy Turner (GBR) and European 400mH silver medallist Rhys Williams (GBR) lived up to their pre-race favourite tags with wins in the Folksam Grand Prix meeting in Sollentuna, Sweden. Turner clocked 13.34 secs to easily win his specialist event. 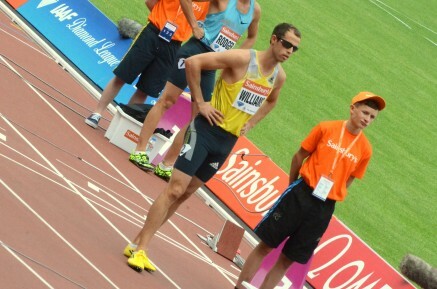 Williams ran a season’s best 49.59 to win the one lap hurdles. Abi Oyepitan (GBR) placed 2nd in the 200m in 23.61 secs.